A dashboard is a page that displays and organizes data so that it is easy to analyze. Dashboards use reports, charts and other components to allow users to quickly and easily interpret information. Customize a dashboard by basing its components on reports related to almost any entity. A bar chart or pie chart can provide the user with a tool for quick analysis. 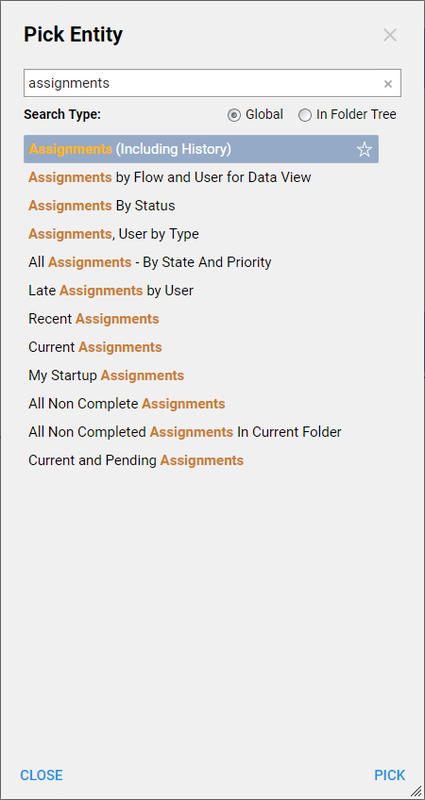 A Report Viewer component can display any report. The data on a dashboard is updated whenever the user opens the page containing the dashboard, so users always have access to current information. Build a dashboard in the Page Designer , and set the dashboard component&apos;s properties in the Properties	panel. 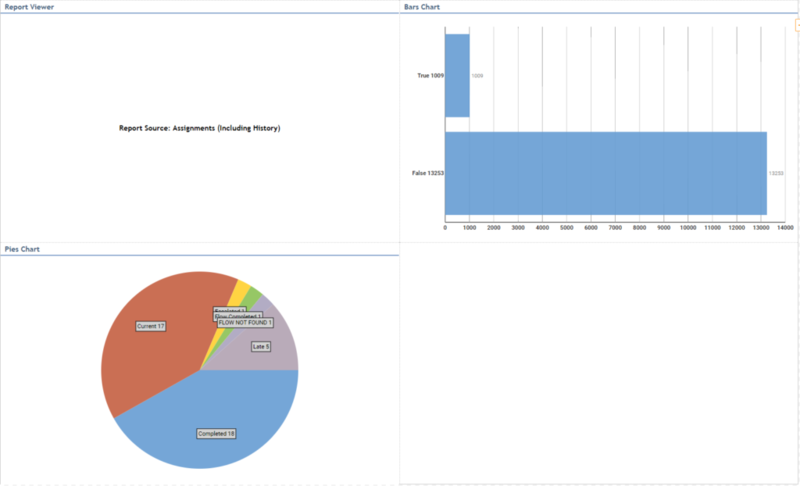 In the example, add a Report Viewer, a bar chart and a pie chart to a dashboard, then set each component&apos;s data source. 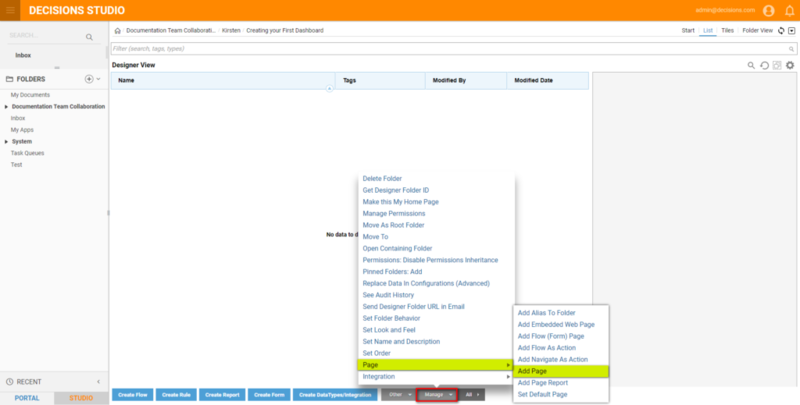 Begin by navigating to the folder that should contain the dashboard, and selectingManage > Page: Add Page	from the folder action menu. 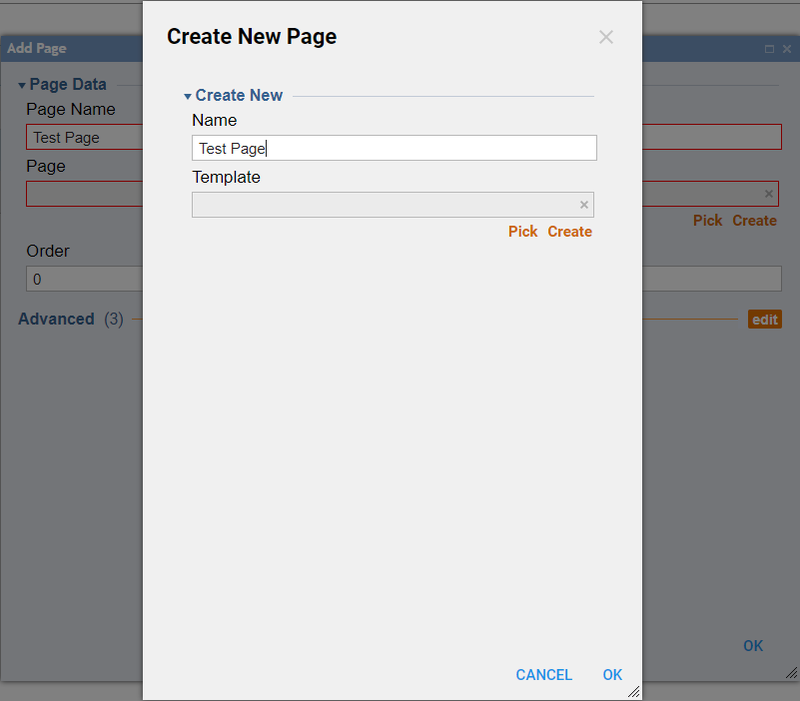 In theCreate New Page	dialog, give the page a name and click OK	. In thePage Designer , begin building our dashboard by dragging the components of our dashboard to the work space. From the Page Elements	panel, under the Reports	category, we drag a Report Viewer	component to the work space. Next, we add a bar chart to the dashboard. Under the Charts	category, we select the Bars	component and drag it to the work space, placing it to the left of the Report Viewer	. 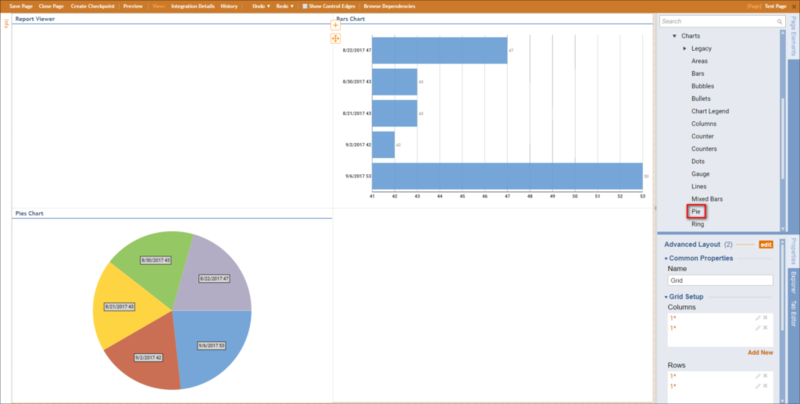 Finally, we add a pie chart by dragging the Pie	component to the work space, placing it below the bar chart. Now that we&apos;ve added the components to the dashboard, we set their data sources in the Properties	panel. First, we select the Report Viewer	and in the Properties	panel, we open theDefault Report	selector to choose the data source. 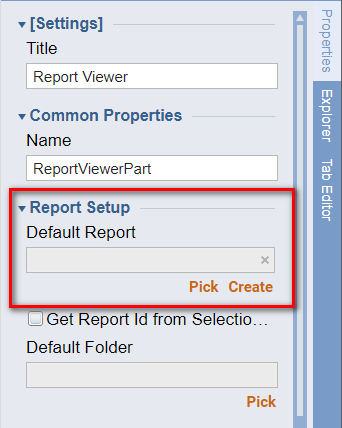 In the Pick Entity	dialog, we select the report to be the displayed on the Report Viewer	, then click PICK	. We set the source for the bar chart by selecting it in the work space, and opening the Source	selector in the Properties	panel. 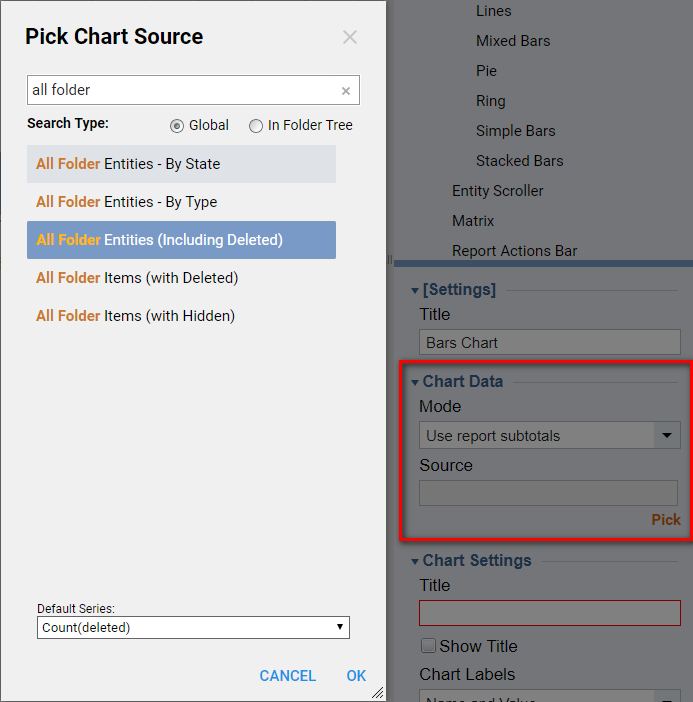 In the Pick Chart Source	dialog, we click the source for the bar chart, then click OK	.
We have now finished configuring the page, so we save the page and close the Page Designer . The new page displays with the components and data as we set it up.